We’ve been in wedding photography in NY and NJ for a while now and we’re asked by couples about the need for multiple shooters all the time. Are they really necessary? What difference could one more person make? Does my wedding size or style warrant multiple photographers or will we be fine with just one? And the answer to most of these questions is, there is no easy, all-encompassing answer. No, you don’t need multiple photographers to capture all the big moments of your wedding day, but if you want to end up with a photo album that truly tells your and your partner’s love story and brings viewers right back to the day, you do. So, let’s take a closer look at how multiple photographers will affect your ability to tell the story of your wedding day in your photo album. First off, when deciding if you need multiple shooters at your wedding, you need to take into account how many locations you’ll need to be at, how many guests will be attending, how many reactions you’ll need from the same moment, etc. Often, the bride and groom get ready in separate locations simultaneously and your lone photographer can’t be in two places, and there are plenty of moments that you’ll also want to capture the reactions to as well. And what about the throwing (and catching) of the bouquet? You and your partner will also both be walking down the aisle, you’ll both be reciting your vows, and on top of that, you’ll likely want to capture both you and your partner’s parent’s reactions to it. The point is, you need to be realistic about it. Having multiple shooters isn’t just about having more options and moments that you can use to spice up your wedding photo album; it’s also about practicality. No matter the size nor style of your wedding, there will undoubtably be times when multiple moments are occurring at once or when you’ll want to capture two separate experiences of the same moment, and that will be impossible with a single shooter. A second set of eyes can’t hurt. Again, having multiple shooters isn’t just about logistics. Yes, it allows you to virtually be in two places at once and to capture two perspectives of the same event simultaneously, but it also gives you an extra set of eyes. And it’s like they say, two heads are better than one. So, by having two photographers, you’ll be giving yourself another creative mind and twice the experience. Trust us, as longtime NY and NJ wedding photographers, no two shooters think exactly alike, so the way they capture moments will differ and, even if it’s a slight difference, it provides you with more variety. Whether one uses a different lens, simply stands in a different part of the space than the other, or establishes a rapport with certain guests, you’ll end up with two separate views of your wedding day. One can handle the details, another the BIG moments. Having two or more shooters at your wedding also allows you to have one there to capture all the little details, specifically, and the other to capture all the big moments. Not only will this ensure that you don’t miss any of the big moments and that you’ll have plenty of details with which you can spice up your photo album, it will also provide you with an insurance plan of sorts. Think about it; the shooter designated to capture the details will be more likely to catch any mistakes or elements of a photo that don’t belong. For instance, perhaps one of the bridesmaids is making an odd expression while a photo by the primary shooter is being taken or someone’s wearing sunglasses when they shouldn’t. The primary shooter is usually so caught up in making sure to capture every big moment that he/she often doesn’t notice little issues like these whereas the second shooter will be far more inclined to notice these types of discrepancies and can then alert the primary photographer to the situation. With a second shooter, you have a back-up plan. As we all know, no matter how much time and effort you put into the planning process of anything, sometimes, things just happen and there’s nothing you can do about it. And if your single photographer has an unexpected car situation on the morning of your wedding or he/she forgets or breaks a piece of equipment, there’s not much you’ll be able to do about it. Yes, of course, any respectable company will do what they can to remedy the situation, but who wants to have to be worried about the possibility of not having a photographer on the morning of their wedding? Having a second shooter mitigates that risk. If something unexpected does happen on the day of, there’ll be another professional photographer there ready to shoot. That way, you won’t have to ask your cousin, the amateur photographer, to take on the task of capturing all the special moments that make up your wedding day. First off, if the reason for neglecting to use a second shooter is budgetary, you can try to cut down the amount of time you need your photographers and make up for the extra cost that way. From there, while we strongly recommend multiple shooters, there are alternatives. For example, you can try to coordinate your and your partner’s prep period so that one gets ready before the other and a single photographer can capture both scenarios. The bottom line is, yes, there are alternatives, but if you want to have various perspectives and angles and an abundance of details that you can use to tell your and your partner’s love story through your photo album, you need multiple shooters. 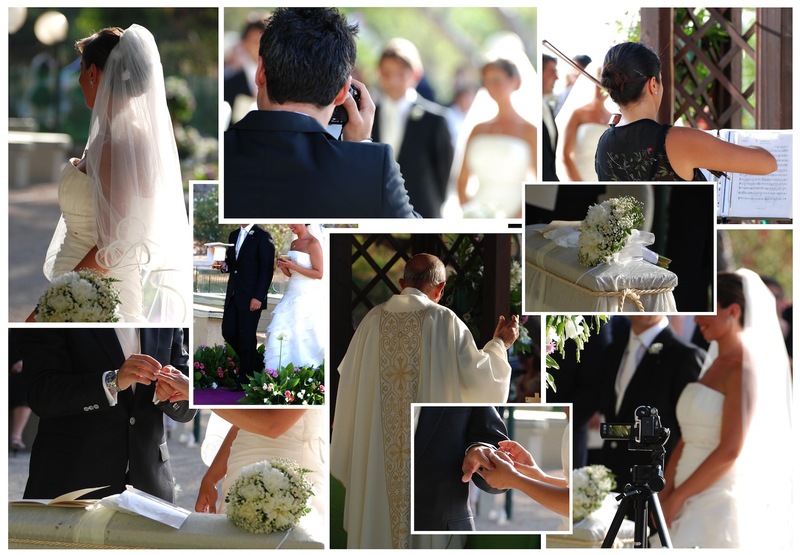 About Us: Live Picture Studios is composed of a team of seasoned NY / NJ wedding photographers, and editors. At LPS, we’ve been making memories magical through our wedding videos and photos in the NY, NJ, PA, and CT area for years. Check out our photo gallery and video gallery for proof.